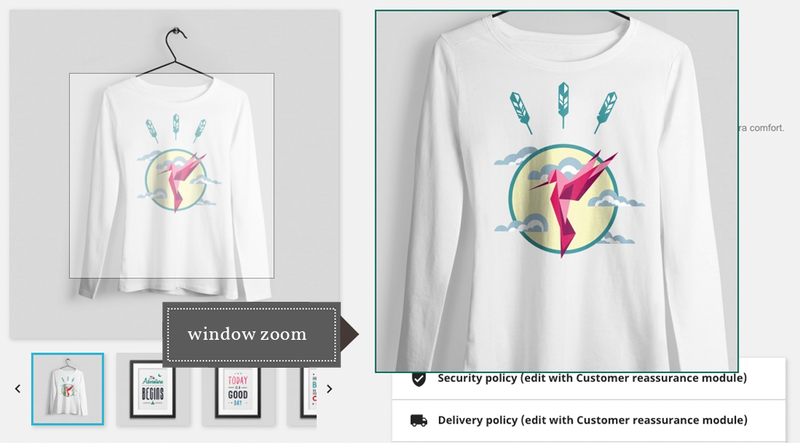 Advanced Product Image Zoom is a premium, multi-shop and multi-language Prestashop plugin that adds advanced zoom functionality in the product pages of your shop. 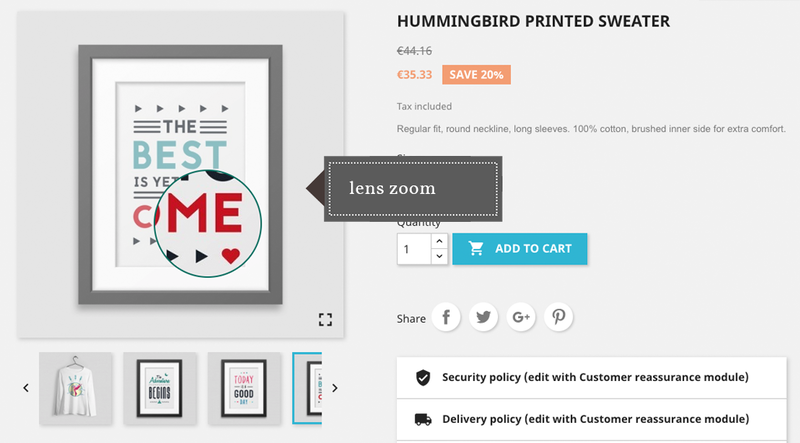 Allow your users to see your product details either with the lens zoom, the inner zoom or the window zoom, when hovering over the cover image in product’s page! 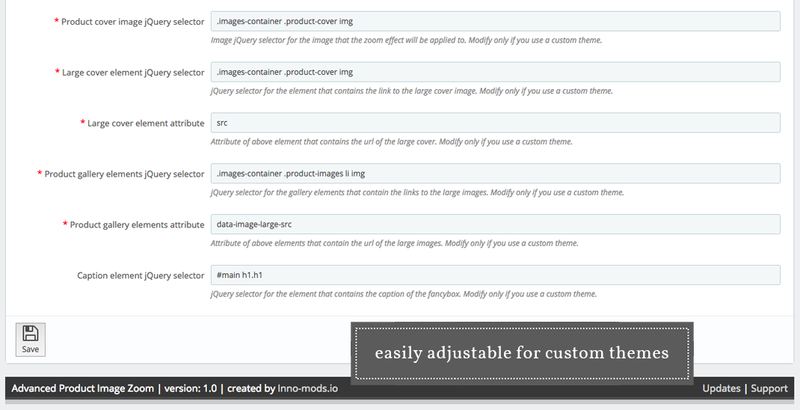 The module allows you to fully customize the appearance of the lens zoom! You can choose lens shape and size, but also lens border size and lens border color! Let’s not forget to mention tint color and opacity! 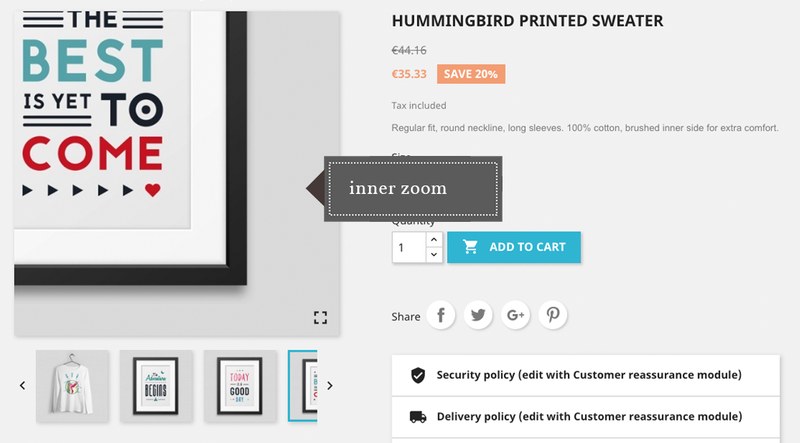 Now, when, using inner zoom, you can enable or disable easing! 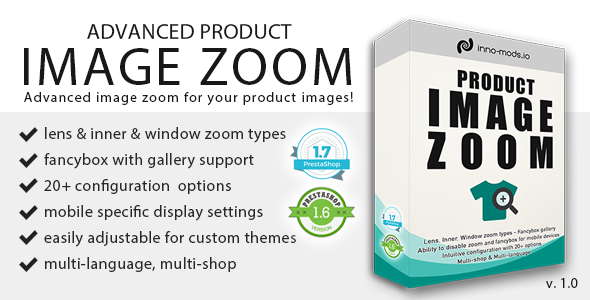 For window zoom, you may define the window size & position! Also, for both zoom types, you can enable or disable mouse wheel zoom! 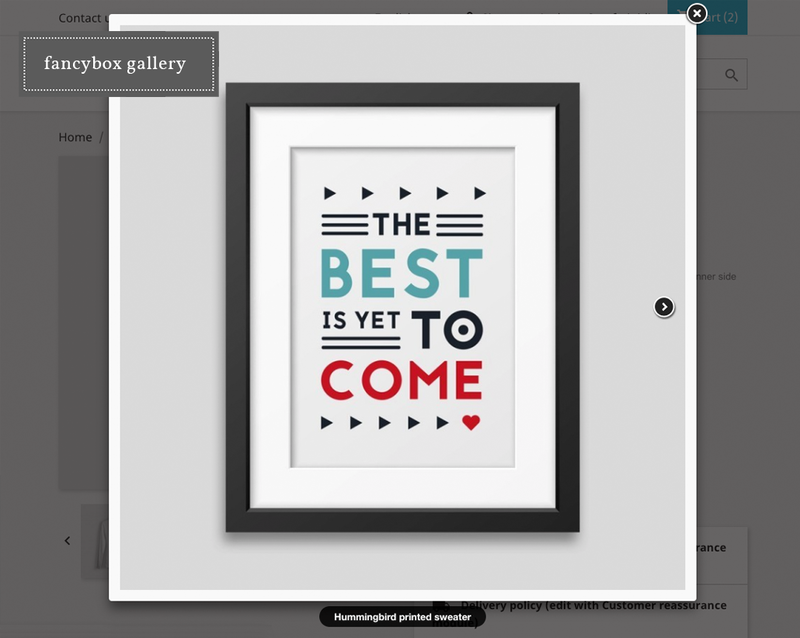 Fancybox gallery is also available in order to let your users see large photos in an overlay! When it comes to mobile devices, you can separately enable or disable zoom and fancybox for them! 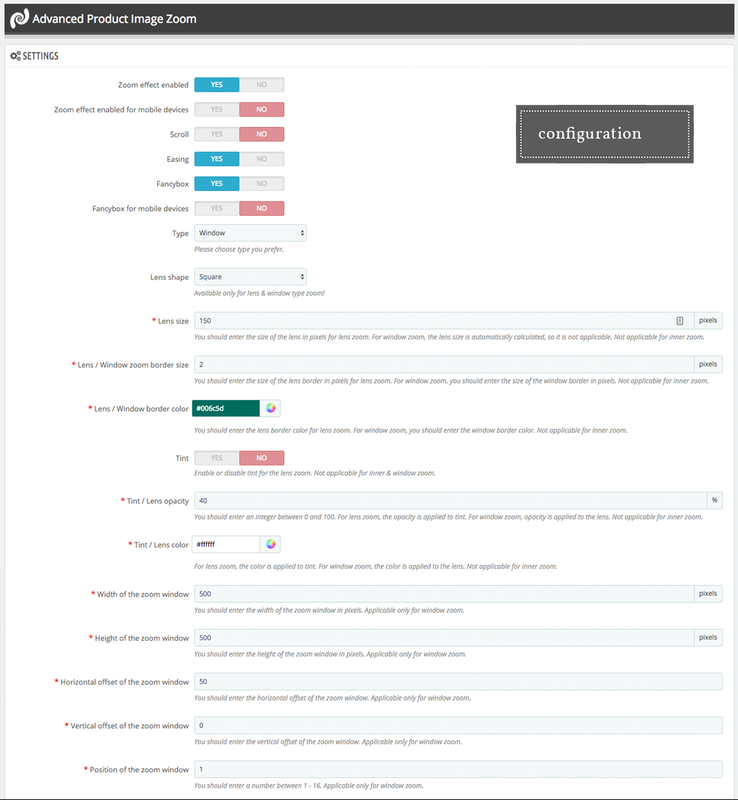 Last but not least, we should mention that you can easily adjust the module in order to fit into your custom theme through the module’s configuration! No need for code editing! For default themes of Prestashop 1.6 and 1.7, the necessary info is preconfigured!